Two pipe steam system circa 1915. Where each set of steam/dry/wet return pipes leaves the basement pipes to serve an upper level there is this valve (pic) on the dry return branch (only) as it leaves the main basement dry return. Does anyone know the purpose of these valves? 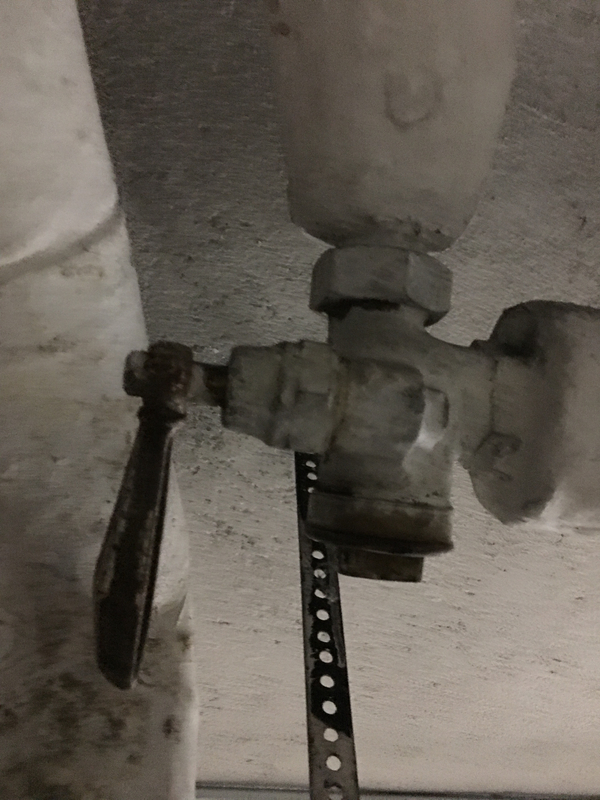 You mentioned this is a two pipe system.Looks like a steam regulator or control valve. Are you sure it is in the return line? Do you have any steam traps? If not and it is in the return line I would guess it regulates the condensate to keep steam out of the returns. Can't think of any other use. Do you have pictures of radiators and radiator piping. The valve is definitely on the dry return branch pipe just before it rejoins the main dry return in the basement. The radiator configurations are very standard, steam inlet pipes and thermostatic trap on the outlet sides. The only less common feature of the system is that the steam mains return directly into the wet returns without vents. The dry return has a big vent just before it turns down and joins the wet return next to the boiler itself.